Where were we… Oh yes, I was in Clarksdale, had nowhere to go for the night and sat comfy getting started with playing some music in lunch bar’s front porch. Right before I started, a guy had sat next to me, offering me to stay with him and his friends in the condominium they’ve rented for two nights. He was a drummer. I don’t trust them. And a biker. Come on, if you’re a woman traveling alone you don’t stay with them (drummers or bikers) for a night! After short conversation he went away and I started playing. With my second song, a car stopped down the road, two man and a woman came out of it with film equipment and came up to me with their story. They were a TV from Chicago, shooting a documentary about the Blues Trail. 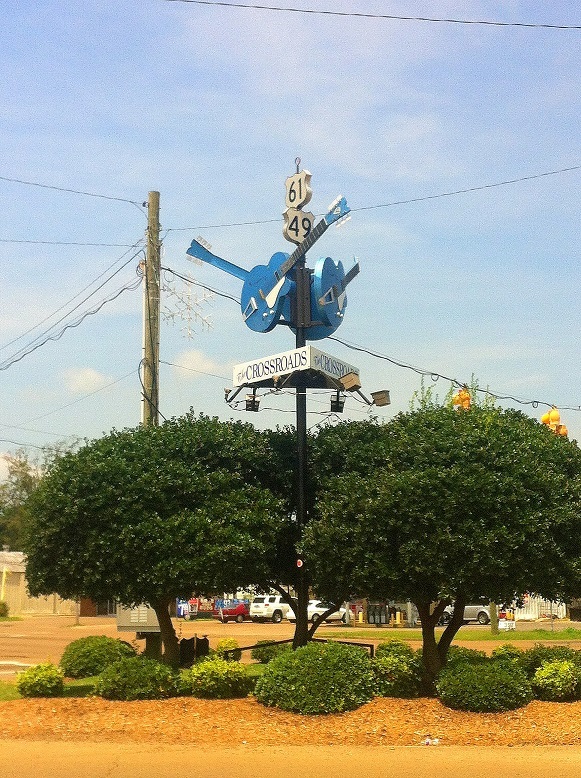 Of course Clarksdale was important – that’s where the ‘Crossroads’ are, that’s where the blues was born. That’s apparently where the blues is still cultivated. What they wanted from me was to appear in their movie, playing in the streets of Clarksdale and telling the story of my travels. And that I did. A few minutes after they went away, a nice looking gentleman in his 40ties sat next to me, so as to listen. We talked about the music with breaks for playing it, the waitress was bringing me new drinks, the guy was getting more and more kind. He said he wouldn’t give me money for my music, he would buy me a ticket to the Delta Blues Museum (which we both planned to see) and a lunch. Yeah, why not. The musem was really neat. I wouldn’t call it impressive but it was definitely good. It’s address was 1 Blues Alley. There was a really neat Muddy Waters part; actually, Muddy was everywhere, his lyrics written on the walls, he’s spirit somewhere in the owner’s heart. Neither of us were massive fans of Muddy though. The guy wanted to teach me about the blues, but quite soon he realized that he didn’t have to. I still don’t remember his name, I don’t think I’ve ever remembered it after he said it. We didn’t like same things and enjoyed same things about the blues and the music in general. It was a nice experience. I took some time for watching Muddy and Pinetop Perkins on stage. He took some time watching Charlie Musselwhite’s (a Cherokee’s son born in KOSCIUSZKO, MS) harmonicas and went to grab some food. Told you – it wasn’t that impressing. But if you go down there, you should definitely see it yourself. The gentleman offered I could stay with him for the night in Memphis and that he would be reserved but there was no point in going back to Tennessee. And again – I’m a girl alone out there, you just don’t do some things not being 100% sure of them. It was really nice of him but I said ‘no, thank you’, took my stuff out of his trunk where I stored them for some time and followed the map going to a privately owned hotel where I would try making a deal of ‘cheaper room for helping with room service’ kind. I loved it. His wife came out (he was playing in front of his shop). I asked if I could leave there my luggage for a bit so I could get to the hotel quicker and come back once I log in but they were concerned if I’d be there on time. And then out of nowhere Steve appeared with some food and said he’d give me a lift to the hotel as soon as he finishes eating. He was a long-haired blues guitarist (I’d already started noticing that in Clarksdale everybody was a blues guitarist), very smiley and lovely. He said he’d just have to stop on our way so as to print some posters for his gig. For my surprise we stopped by a funeral home and he opened the car’s door saying ‘come with me, you’ll meet my friends’. First he introduced me to two ladies, then the head of the funeral home. A family run business turned out to be quite a society in Clarksdale. The head, Scott, was helping Steve out with printing. Those were lovely, open people. I told them about my travels and they had a lot of questions; they seemed terrified about me. I mentioned I was on my way to a hotel, as I had nowhere better to go. One of the ladies, I’d met by the door, Teresa, offered I could stay with her, as she had plenty of room and didn’t want me to get hurt. I was saved! The head of the funeral home turned out to be very generous and supportive, I even got a company T-shirt (completely different from what you’d call a funeral home T-shirt; it was purple-lillish with a little hearse on the front and the entire back was covered with their partners, multum of pictures in different colors, shining and inviting)! 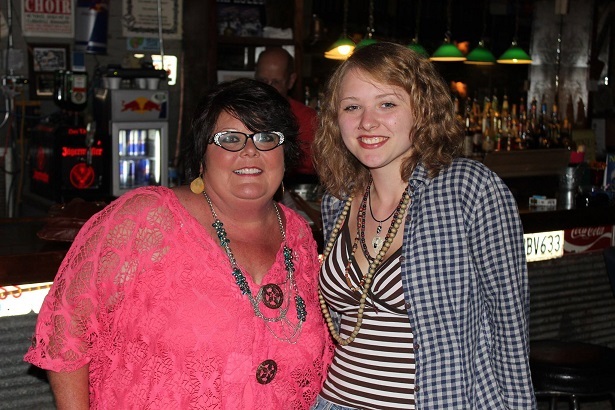 Teresa was amazing and she hosted me for my two days of Clarksdale. On my first night she dropped me by Ground Zero Blues Club – coowned by Morgan Freeman. Uncle Freeman didn’t decide to come down the other night, yet a blues band played for about 4 hours or so, extremely long. ‘This is normal in the US, you have to play long gigs. In most cases the band gets to play three or four hour sets with 15 minutes breaks per each’ said the guy making the sound or lights… I’m not sure now. The band was… extremely musically white (yet they weren’t bad). So was most of the audience. I remembered my friend told me about Greg saying ‘the real blues happens in Clarksdale after you cross the railroad tracks’. One guy dressed like a posh redneck, a Mississippi Planter type, all in white including the hat of course, asked me about my history, so I shared. He thought I was both insane and stupid traveling the way I did and I surely ‘could afford a bus’. ‘It’s not about the money and it won’t be’ I said. ‘Thank you’ I said looking at him like at an alien. He must have noticed that, he couldn’t have been that stupid. ‘Thank, I’ve already got a lift from one guy’ I said. ‘Whom from?’ he wanted to know. ‘The other redneck in a white hat’ I answered pointing at the guy. ‘I know that he’s a dad, a redneck, he’s mind is closed and he’s racist. He instructed me so as to never ever enter a car with a black person!’ I said nervously, wandering what type of man says those awefully stupid things. ‘What kind of man does it make him?’ asked the s-o-l guy. ‘Never trust a man in a hat’. And that was my only strict rule for the rest of my trip. I didn’t trust men in hats. I only once entered a car with one of them, luckily I left it immediately and didn’t take the risk. I called Teresa. She lived in a cute house outside of Clarksdale, had an amazing (can’t believe I’m saying that) Yorkshire Terrier Lady. She was just soo sweet! And so was Teresa. Her last lasting (sounds so funny) story was that her house was damaged by a hurricane (while she was inside!!!) and now it was getting recovered (for me it was pretty much done but I guess there were still details). In the evening of my last day in Clarksdale Teresa took me down to the Hopson Plantation, a historical-musical place. I think that if you’re interested in etno + music / blues stuff, you should best read their website, the ‘history’ page is really well written. There was a band playing… I don’t remember the name of the leader. It was good. We had a lot of fun. The band opened with ‘Mustang Sally’ and went from it through all types of ‘Sweet Home Chicago’s, ‘Whole Lotta Love’s and ‘Midnight Hours” to, suprisingly, ‘The Joker’ by Steve Miller Band. Except of this one, the songs were all the same songs you hear Polish cover bands play (now I know that it’s English too) for the 100th time and you wish they play something new. Why? Of course: for the family. According to a noble Polish engeneer said once ‘I like the songs I’ve already heard once. (…) How could I enjoy a song I hear for the very first time?!’. People like what they know. Apparently it’s not Poland, it’s the world for you. The next day Teresa drove me over an hour away from Clarksdale so as to make my trip to Vicksburg shorter and safer. Lovely her! I’m so glad I found her on my way. I’ll post a picture, I really hope you don’t mind, Teresa, but this is one of my absolute favourite photographs ever taken! 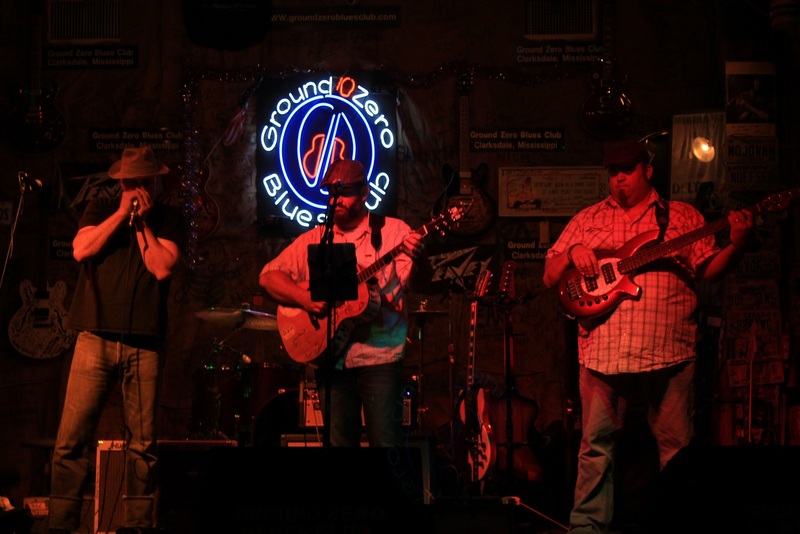 My Clarksdale was absolutely different than any ‘regular’ tourists (meaning having any idea what they’re doing there). The fate took me down to the Crossroads, the fate took me down to the Meredith Nowell funeral home, the fate found Teresa and the fate found a Blues Trail Movie, Delta Blues Museum, never-trust-a-man-in-a-hat, the-locals-being-in-most-cases-blues-guitar-players and a lot more wonders and lessons. Mississippi is rough though, there’s a lot of racism in the air (that will be a part of ‘rasism in the US’ story). And the fate worked because the reason for everything to me was always the music.